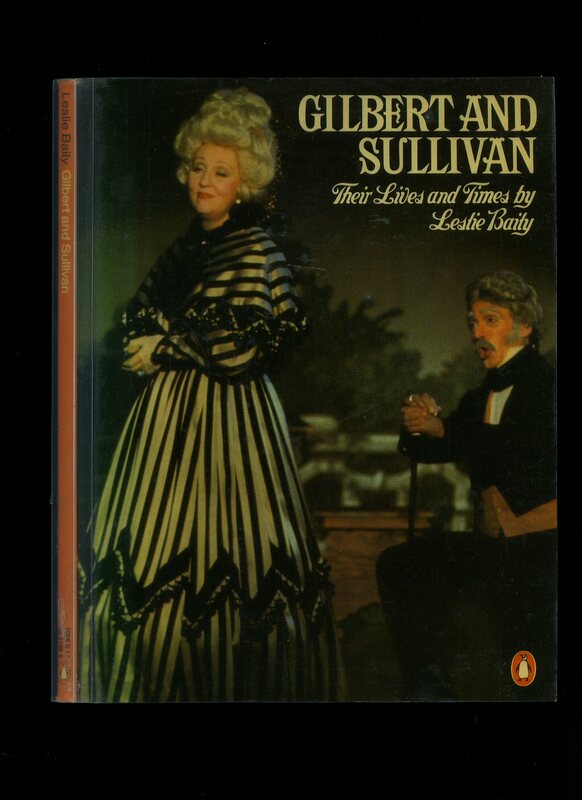 Published by The Pierpont Morgan Library, 29 East 36 Street, New York First Edition 1975. 1975. 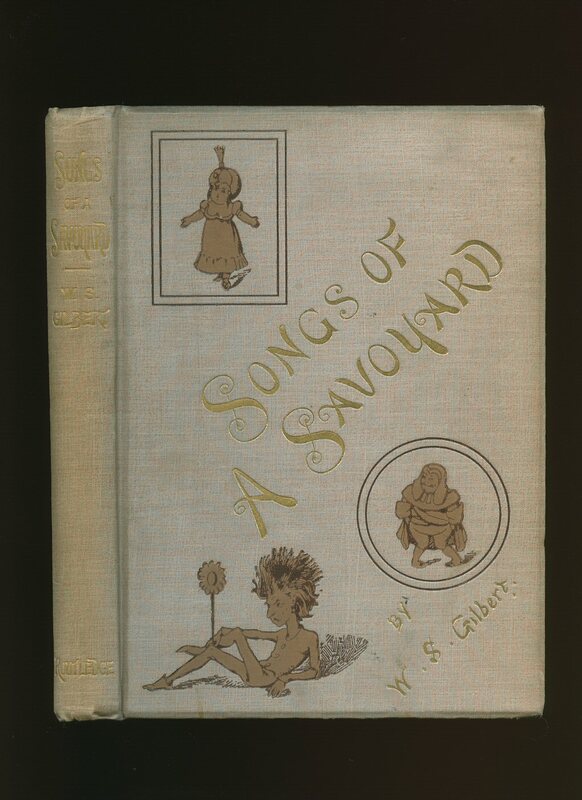 First edition hard back binding in publisher's original light khaki cloth covers, brown lettering to spine. 8vo 11½" x 8½" xxviii, 215 [pp]. ISBN 0879231459. Monochrome photographic illustrations. Fine in Nr. Fine dust wrapper with light fading to spine, not price clipped. Dust wrapper supplied in archival acetate film protection. Member of the P.B.F.A. Chappell & Co., New Bond Street. Chatto & Windus Ltd, 42 William IV Street, London circa 1895. 1895. Hard back binding in publisher's original brown cloth covers with black floral designs to cloth. 8vo 8½" x 5¼". Working condition with spine faded and torn to spine ends, one page loose, corners turned-in. Member of the P.B.F.A. 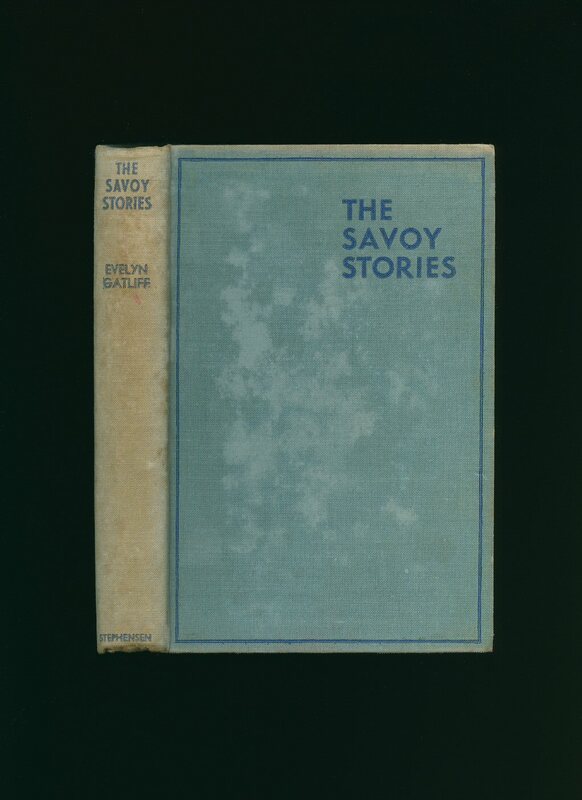 Published by Jarrolds Ltd., London circa 1925 edition not stated. London circa 1925. First edition hard back binding in publisher's original strawberry cloth covers, faded lettering to spine, black lettering to upper panel. 8vo 7½'' x 5¼'' 191 printed pages of text with monochrome photographic illustrations on glossy silk art paper. Spine and edges of boards faded, age darkening to edges of paper, binding firm, no dust wrapper. Member of the P.B.F.A. Published by George Routledge and Sons Ltd., Broadway House, 68-74 Carter Lane, Ludgate Hill, London 1891. 1891. 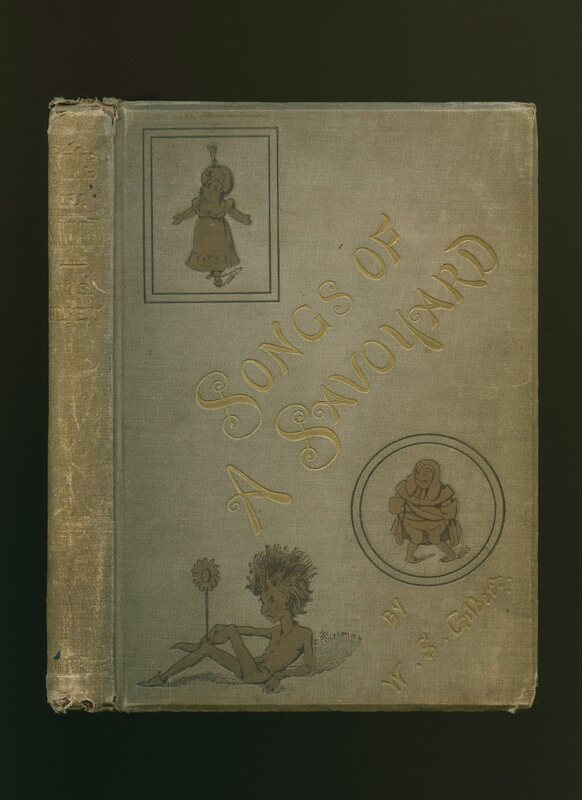 Hard back binding in publisher's original light brown cloth covers, faded gilt lettering to spine, gilt lettering and three illustrations to front cover, all page edges gilt, black paper end papers. 8vo 9'' x 6½'' 142 [ii] printed pages of text, illustrated by the author. Snagging of cloth across spine tips and corners, soiling to light cloth, one page slightly loose. Enclosed Daily Telegraph newspaper clipping dated May 30th 1911 with obituary of Sir W. S. Gilbert. Member of the P.B.F.A. Published by J. M. Dent & Sons Ltd. Aldine House, Bedford Street, London First Edition 1971. 1971. 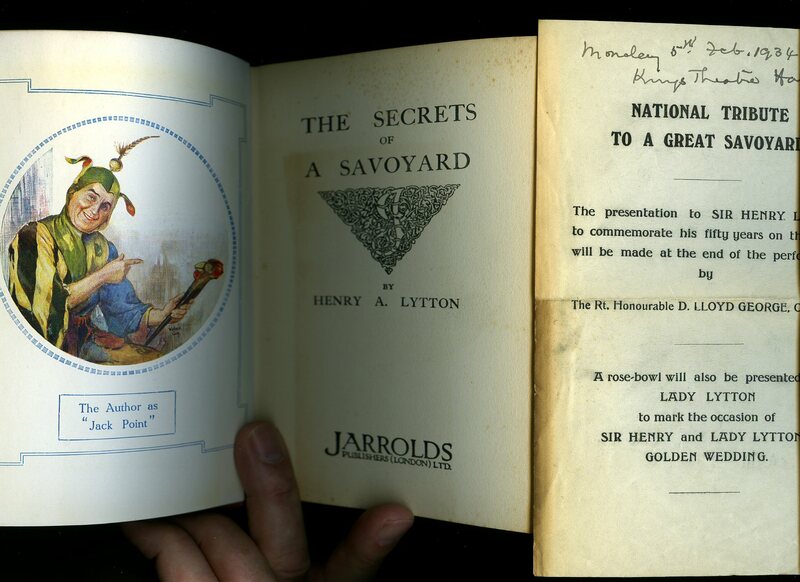 First edition hard back binding in publisher's original sage green cloth covers, gilt lettering to spine. 8vo 9½" x 6¼" 304 pp ISBN 0460039342. Monochrome photographic illustrations on glossy silk art paper. Fine condition book in Very Good condition price clipped dust wrapper with slight fading to yellow paper to spine. Dust wrapper supplied in archival acetate film protection. Member of the P.B.F.A. Published by Penguin Books Ltd., Harmondsworth, Middlesex First Penguin Edition 1979. London 1979. Publisher's original colour illustrated thick glazed card wrap covers. 8vo. 9½'' x 6½''. ISBN 0140051066. 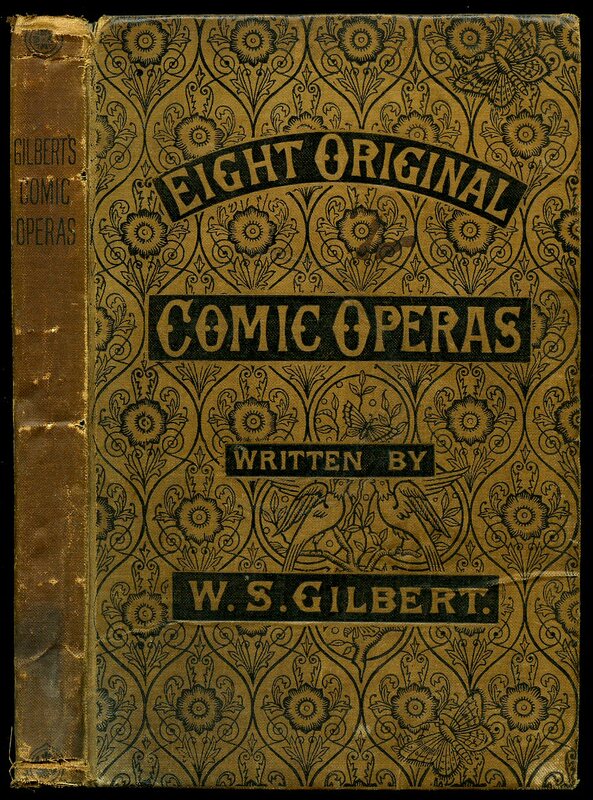 Contains 119 [ix] printed pages of text with monochrome illustrations throughout. Without any ownership markings, very light surface marks to the polished covers and in near Fine condition, no dust wrapper as published. Member of the P.B.F.A. Harry N. Abrams, Inc. New York First edition 1983. 1983. First edition hard back binding in publisher's original burgundy cloth covers, gilt lettering to spine. Quarto 11½" x 9¼" 223 pp ISBN 0810909847. Lavish colour and monochrome photographic illustrations on glossy silk art paper. Fine condition book in Fine condition dust wrapper. 2 inch red promotional band across corner of dust wrapper informing of the tie-up with PBS-TV series. This is a new book. Dust wrapper supplied in archival acetate film protection. Member of the P.B.F.A. Published by P. R. Stephensen, Sydney, Australia First Edition 1935. Australia 1935. 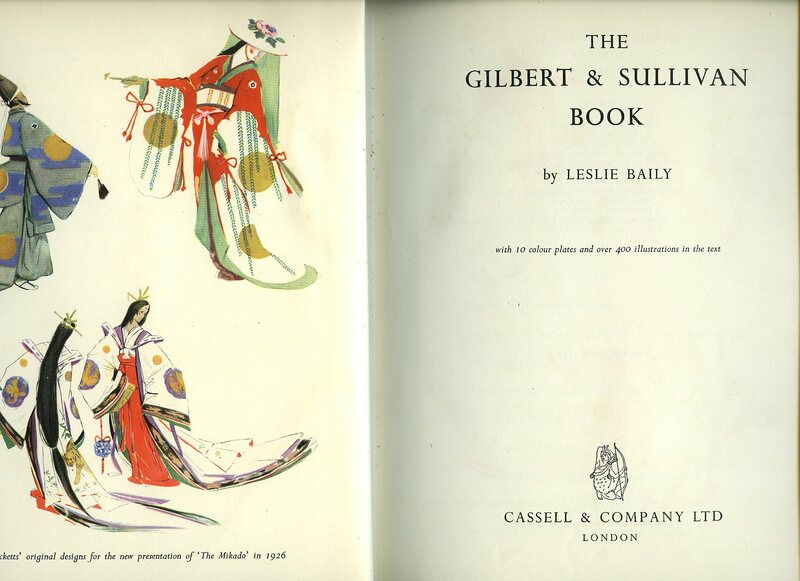 First edition hard back binding in publisher's original baby blue cloth covers, dark blue title and author lettering to the spine and front panel. 8vo. 7½'' x 5¼''. Contains 162 printed pages of text with delightful monochrome illustrations and photographs. Light foxing to the end papers, sun faded spine, damp mottling to the front panel and In Good condition, no dust wrapper. Member of the P.B.F.A. Published by Cassell & Company, Ltd., 37-38 St. Andrew's Hill, London First Edition 1952. London 1952. Hard back binding in publisher's original raspberry cloth covers, gilt lettering to spine. Quarto 10'' x 7½'' [xvi] 443 printed pages of text. Ten colour plates and over 400 monochrome illustrations. Spine text slightly oxidised and in Very Good condition, no dust wrapper. Member of the P.B.F.A. 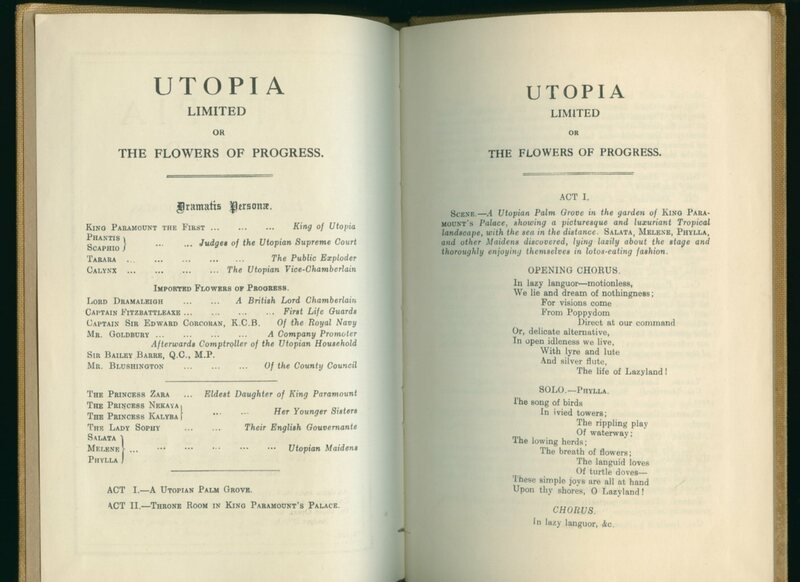 Published by George Routledge and Sons Ltd., Broadway House, 68-74 Carter Lane, Ludgate Hill, London First Edition 1890. London 1890. 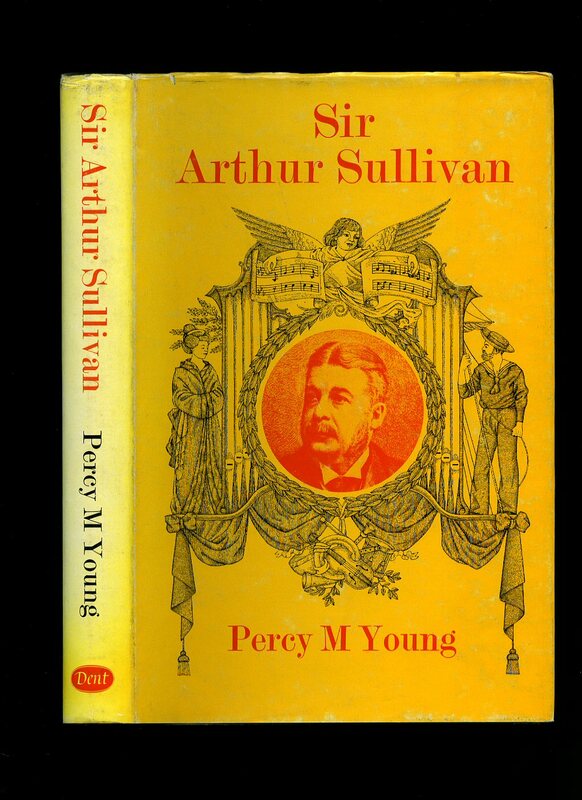 First edition hard back binding in publisher's original light brown cloth covers, faded gilt lettering to spine, gilt lettering and three illustrations to front cover, all page edges gilt, black paper end papers. 8vo 9'' x 6½'' 142 [ii] printed pages of text, illustrated by the author. Ink message inside dated 1890, spine ends rolled over and in very Good clean and sharp condition. Member of the P.B.F.A. 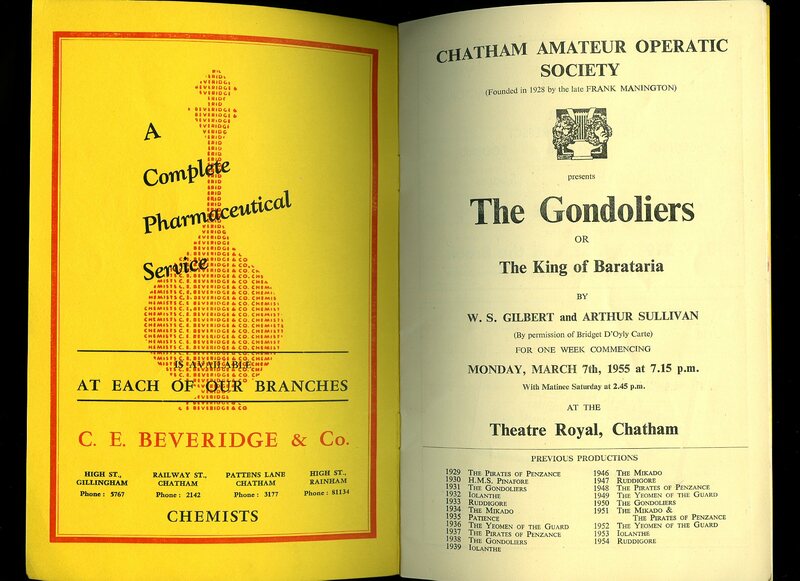 Performance Programme Dated Commencing Monday May 16th, 1949. 1949. Original red and white souvenir theatre programme 4'' x 5''. Contains 16 printed pages of text. In Very Good condition, 6d price seal to the front edge. Member of the P.B.F.A. 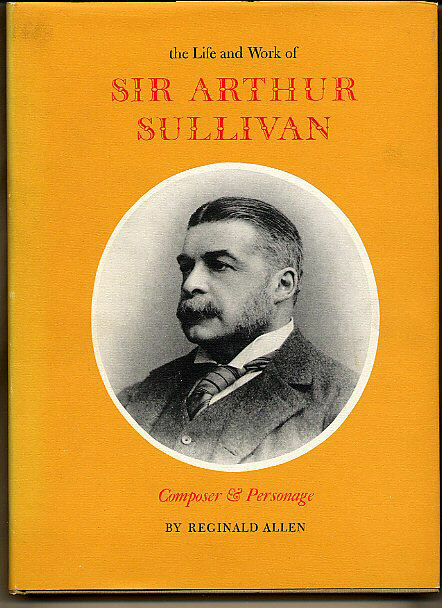 Published by Chappell & Co. Ltd., 50 New Bond Street, London 1958. 1958. Hard back binding in nutmeg cloth covers, gilt title to the front cover. 8vo. 9'' x 6''. Printer's date code to the title page is 21558. Contains 54 [ii] printed pages of text. In very near Fine condition. Member of the P.B.F.A. 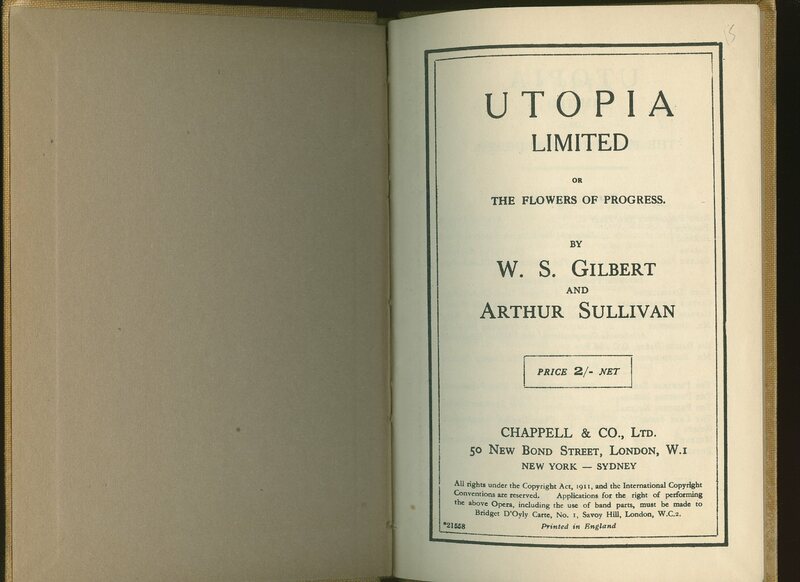 Published by Macmillan & Co. Limited, St Martins Street, London 1937 Reprinted Edition [First Edition 1926]. 1937. 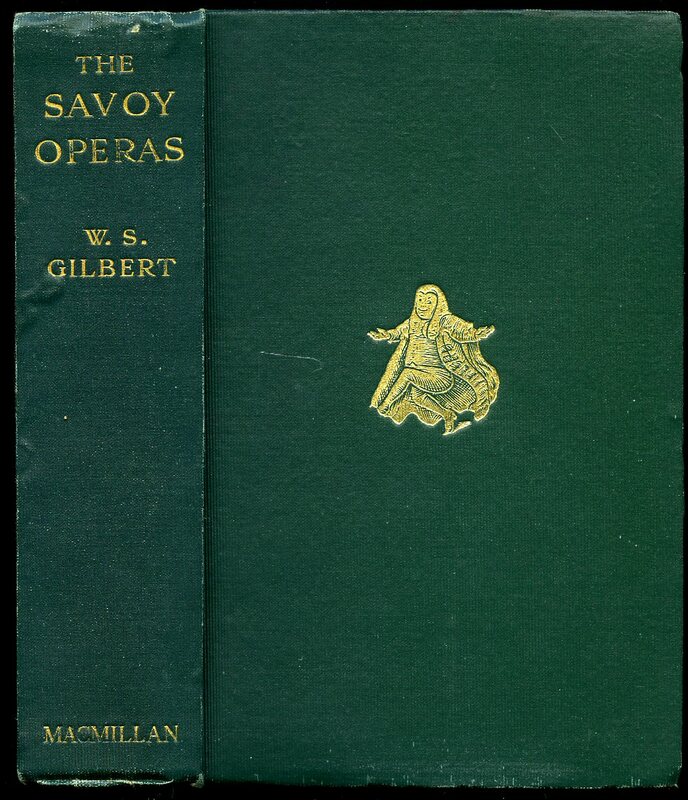 Hard back binding in publisher's original vertically grained green cloth covers, gilt lettering to the spine, small gilt vignette to the upper panel. 8vo 7½'' x 5¼'' viii, 698 [pp]. Very light rubbing to the cloth covers, free from foxing and in Very Good condition, spine not faded, no dust wrapper. Member of the P.B.F.A. Published First Night Performance March 1954. 1954. 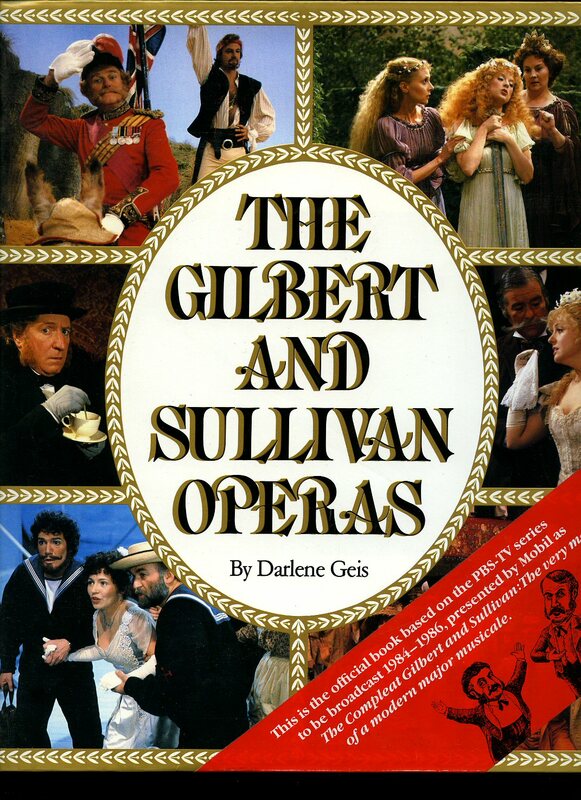 Original souvenir theatre programme. In Very Good clean condition. Member of the P.B.F.A. 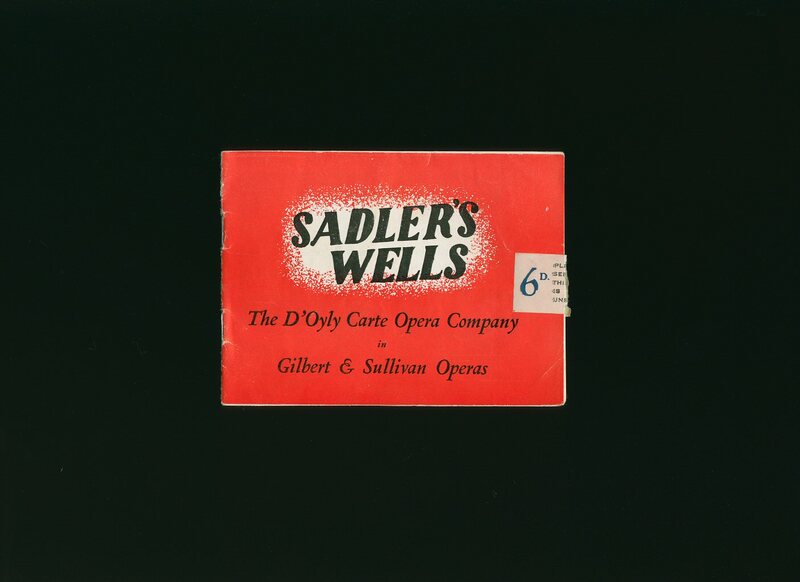 Published First Night Performance March 1955. 1955. 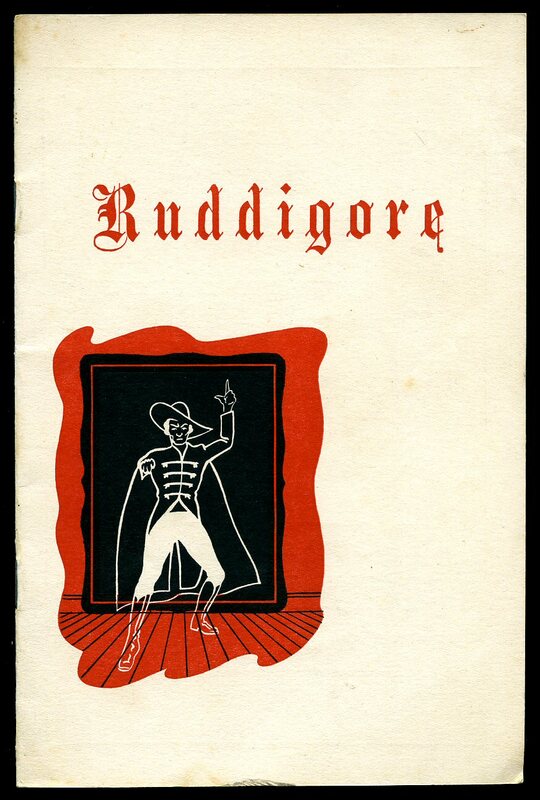 Original illustrated souvenir theatre programme. In Very Good clean condition. Member of the P.B.F.A.